A ship carrying U.S. soybeans changed destination from China to Vietnam on Saturday as exporters find new buyers for American supplies amid an escalating trade war. 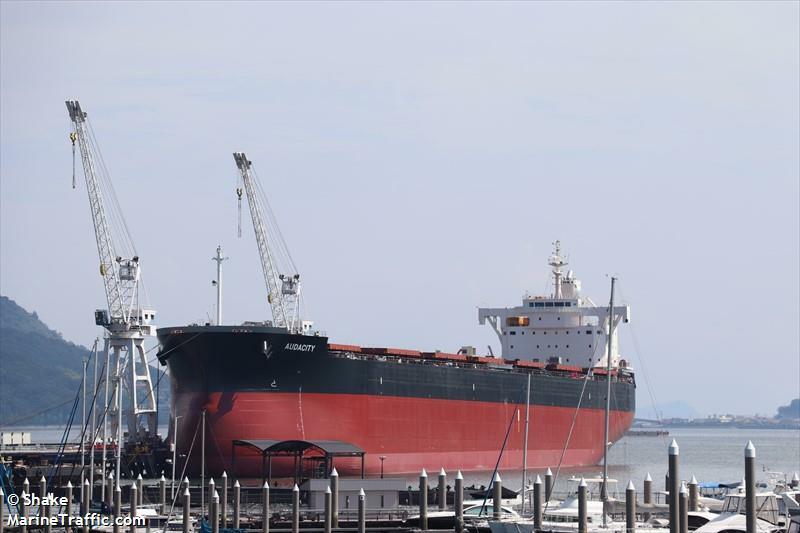 Bulk carrier Audacity left Louis Dreyfus’ Pier 86 terminal in Seattle on Oct. 21 for Qingdao, China with 69,244 metric tons of soybeans, according to U.S. Department of Agriculture inspection data and vessel data compiled by Bloomberg. After six days, it changed course to Phu My, Vietnam, the data show. Louis Dreyfus didn’t immediately respond to an email seeking comment.